While big brands like Apple and Nike invest millions of dollars into the design of their products, most of us are not Fortune 500 companies (yet). But that’s no reason to let your business miss out on the benefits of great design. I believe that a strong brand communicates the business’ values and goals through a meaningful and consistent design. Through logo, design, photography, writing, and typography, a business establishes a look and feel with their clients. This aesthetic evokes emotion that resonates with your audience. The branding becomes the vessel to communicate what the business stands for and what defines it. Navigating the world of typography can be confusing if you’ve never thought about type before. But you don’t have to be a designer or typographer to reap the benefits of good design. While I highly recommend you work with a professional to better refine your business’ voice, applying a little knowledge can be enough to outpace your competition. Here are some basic tips to improve your business’ typography. According to Wikipedia, typography is the art and technique of arranging type to make written language legible, readable, and appealing when displayed. 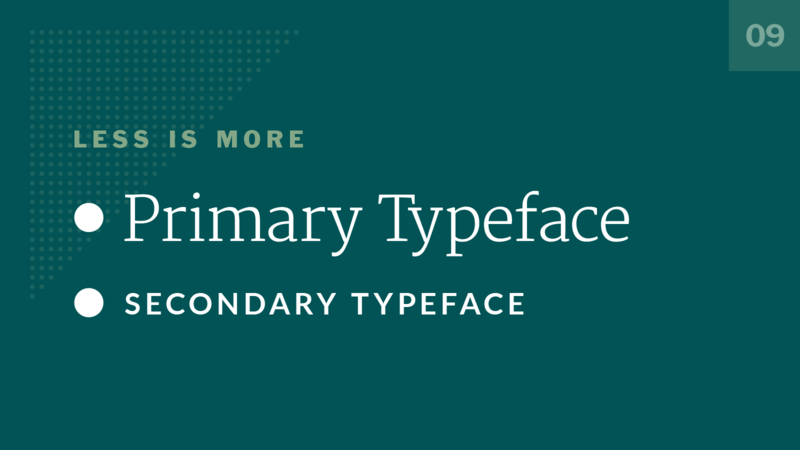 My definition is a little simpler: typography is the look and feel of your words. 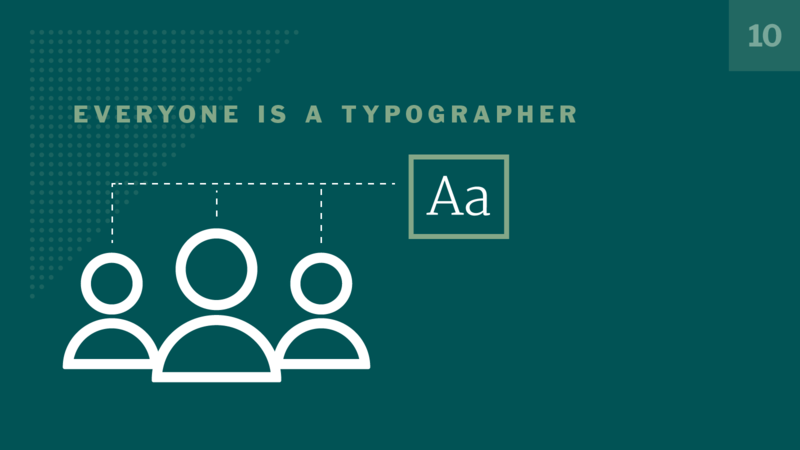 While copywriters help you establish the tone of your messaging, it’s designers that define the voice in your reader’s head through typography. Typography is closely tied to “voice” because the inherent characteristics of the letters will represent the characteristics of your company. This creates a mood and atmosphere which customers will associate with your brand, leaving, in ideal situations, a lasting impression that is distinct from your competitors. Don’t worry. You don’t need to know all the ins and outs of typography. But even the most basic understanding is enough to see your blindspots. Familiarizing yourself with these simple tips will help you make great gains in making your brand stronger. Many people use the words “font” and “typeface” interchangeably, but they actually mean two different things. “Font” refers to the specific thickness, style, or variation to a designed family of letters called a typeface or “font family”. When someone says, “I don’t like that font” they probably don’t mean Helvetica Bold vs Helvetica Light, they’re probably trying to say they don’t like the entire typeface Helvetica. 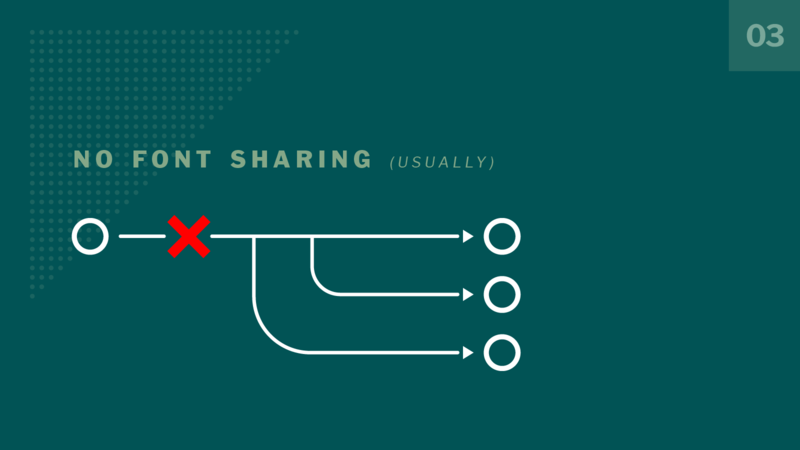 Even I mix up the two words every now and again, but knowing when to use the right word helps you communicate better with your design team in the long run. 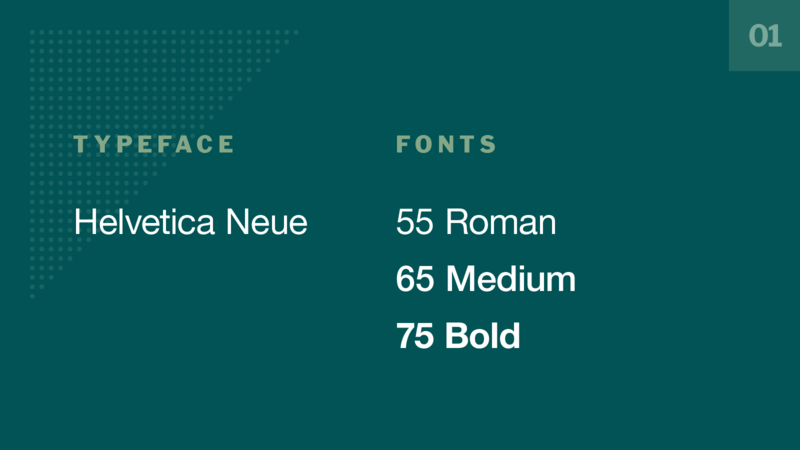 While there are many free fonts available for download, your business will probably need a premium typeface. To maintain a consistent, but flexible voice, you’re going to want a font family that has many weights and styles. Free fonts are typically only a single weight, limiting your capabilities. 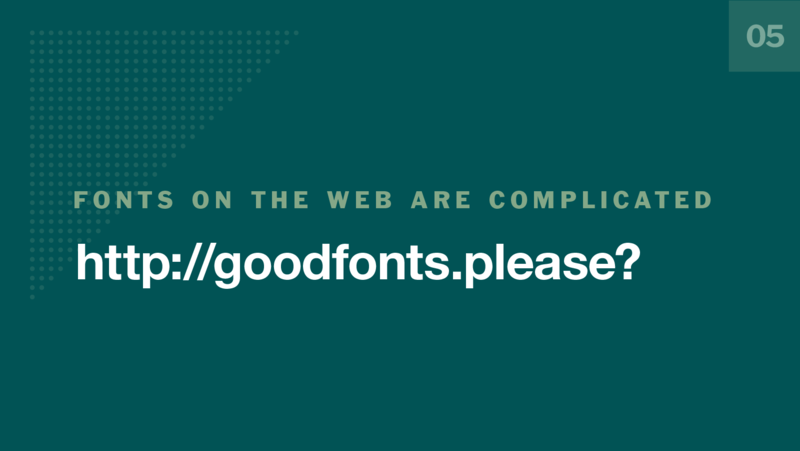 Quality, business-tested fonts are almost never free. However, that doesn’t mean they have to be expensive. Plenty of great fonts and typefaces are available from all levels of designers in the $35 to $75 range. More established designers and type foundries typically price their typefaces in the $200 to $700 range for a single license. Always speak with your designer about how much you’re comfortable spending on typefaces before they start working. Buying fonts can be tricky because what you’re actually purchasing isn’t just the files, it’s a license from the type designer to use their copyrighted artwork. This gets especially complicated when you need to use the typeface company wide or send it to a printer for a specific project. 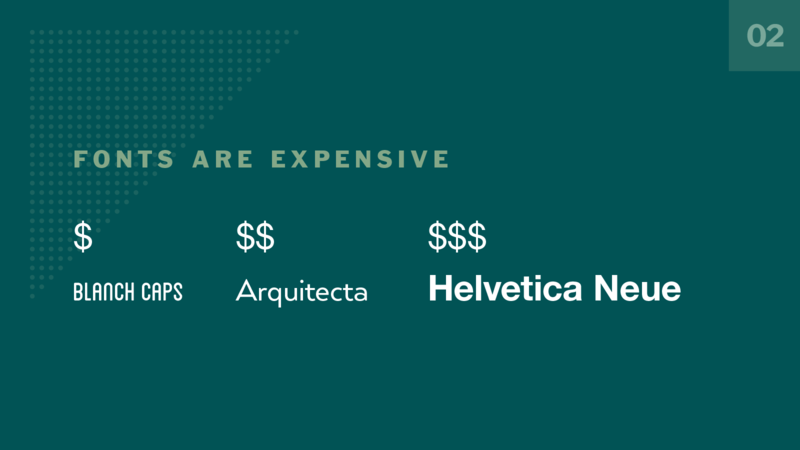 Many type designers will offer commercial licenses as well as personal licenses for their fonts, but the price difference between the two can be extreme. Always be sure to check which license you’re buying to safeguard against legal action. In 2009, “The Tonight Show with Jay Leno” was sued for several million dollars because they used fonts without purchasing the proper license! Another way fonts are like voices: they usually match the person who’s speaking, but sometimes they don’t. Fonts and typography essentially do the same for your company but visually instead of audibly. Like voices, fonts are used in context. Using “Comic Sans” isn’t wrong if you’re designing a flyer for a kid’s birthday party, but if you heard a CEO “talking” like a baby you’d think something was wrong with him. Being aware of the context and environment surrounding your brand will help you use typography more effectively. That’s not to say you can’t take advantage of this context to play with people’s assumptions. You’d never expect a duck to be voiced by Gilbert Gottfried, but challenging people’s assumptions about TV ducks worked wonders in Aflac’s commercials . In the same way, a wrong font choice can be right for the situation, but only if people understand why you’re doing it. In order for your readers to see your website’s fonts, they need to be able to download the corresponding files. You can put the files on your server, and have users download them automatically, but there are downsides to this approach. You’ll have to be extra careful about your licensing agreement. Some typographers will exclude you from hosting their fonts in this way since it’s easy for others to just download their fonts without paying. You also might not have the fastest server, slowing down your page since there is more to download. Usually the better choice is to purchase and host your fonts through a third-party company. They often have faster servers, and manage the licenses for you so your business is never at risk. There are services both free, like Google Fonts , and premium, like Typekit , that will handle the whole thing for you, just by including an extra bit of code on your website. To further complicate things, the price associated with web fonts can vary from company to company. Sometimes web fonts have to be purchased separately from fonts used in print/desktop designs, so you may need to spend more for what seems like the same files. Another variable is web traffic. Some companies charge according to how “clicks” your website receives rather than a flat monthly rate. If you have the budget, there are incredible, premium web fonts available to drastically differentiate yourself from the competition. But if your budget is conservative, be prepared to make some concessions about the type you’re able to use on the web. While you might think that your designer left a lot of the page blank, or made the type too small, consider how the part applies to the whole. Question if there is a reason, scientific or otherwise, for why they made that decision. Reviewing your existing documents and considering if they hold up to the tenets of legibility, consistency, and hierarchy is a great way to make simple changes to your branding with big impact. You may be compromising your type without even knowing it . 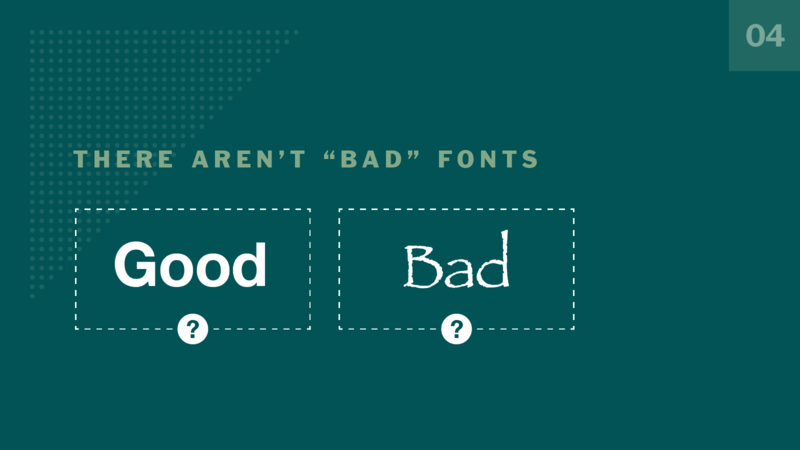 Depending on where you purchased your fonts, files for bold and italic aren’t always included. This is sometimes the intention of the designer, and sometimes to compel you to buy the remaining set. 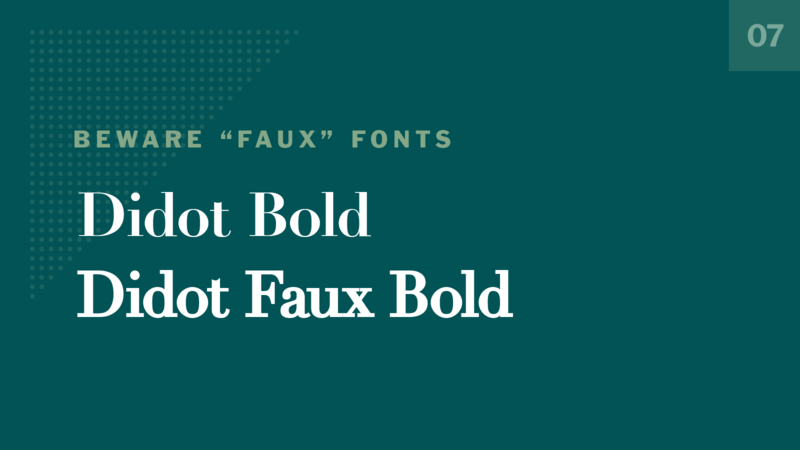 Despite which files you have, some applications fake bold and italic versions for you. Applications like these will skew and slant your letters to make the italics, or add a line around each letter to make them bold. These computed fonts are called “faux bold” and “faux italics” because they’re not really made by the creator of the typeface. Faux styles cover up the characteristics that make your initial choice interesting and often decrease legibility. They diminish differences between thick and thin parts of your letters, making them harder to read. Faux italics will change the slant of the letters and make them looked stretched rather than designed. To add to the frustration, some programs won’t indicate when you’re using faux styles, so you’re left to determine for yourself when they’re applied. Always check to make sure your application is rendering the font you intended. Compare it to what you have on file and adjust to the actual when possible. At some point in your life, you’ve probably set a memo or homework assignment in 12 point Times New Roman, but have you ever wondered what exactly 12 points is? A “point” is the [smallest unit of typographic measurement](https://en.wikipedia.org/wiki/Point_(typography) equal to 1/72”. So when you’re setting 12pt type you’re actually setting you copy to be 1/6”. 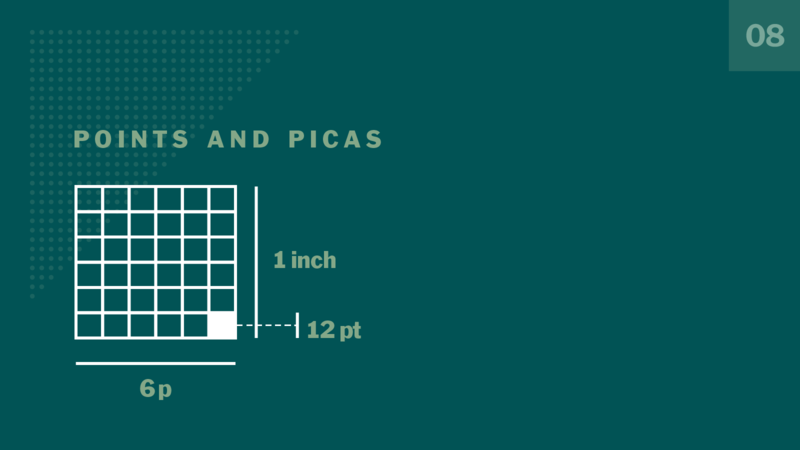 That 1/6” or 12pt measurement can also be called a pica, making the term “6p” equal to 1 inch. Points are used most commonly to dictate type size and leading, whereas the larger picas are used for document sizing, margins, and rules. So next time you glance at a document that has 1p6 margins on all sides you’ll be able to tell that equals 18pts or 1/4” (18/72). The key to establishing a “brand” is consistency throughout your design. A successful brand should have clearly defined typography and styles. Implementing one core typeface, preferably with varying weights and styles is ideal for creating a lasting identity. Additionally, using one complementary typeface to establish contrast between your big headlines and your everyday text can establish character in your “brand voice”. Rather than implementing another typeface to emphasize a particular piece of content, make use of the tools you already have. Implement a change of color, weight, or scale to create impact within your established look. Typographic restraint is key to not only to convey a consistent voice and message, but to increases recognition in a crowded marketplace. 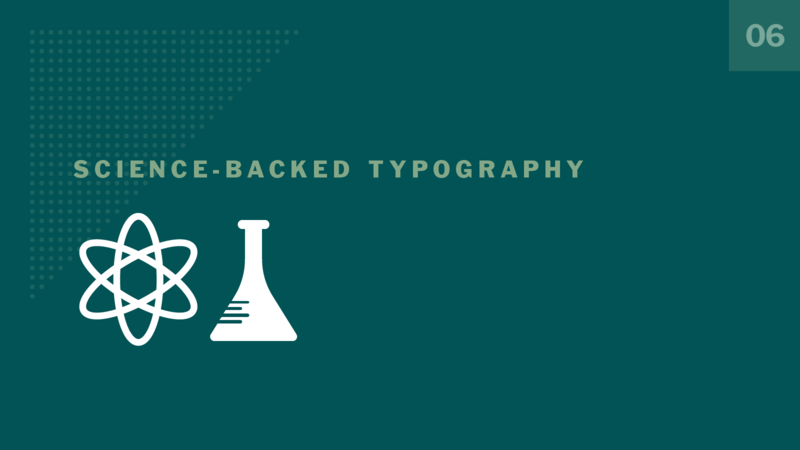 Businesses should strive to create great products that are memorable, and one simple way to do that is by using consistent, minimal, and considered typography. You don’t have to go to art school to think a typeface looks good (or bad). Everybody experiments with font choices in their high school papers at one point or another. Experimentation is good; it means you’re curious and developing a taste for design. Developing your design sense is an ever-changing pursuit, but it can be rewarding as you better understand what resonates with you and your values. 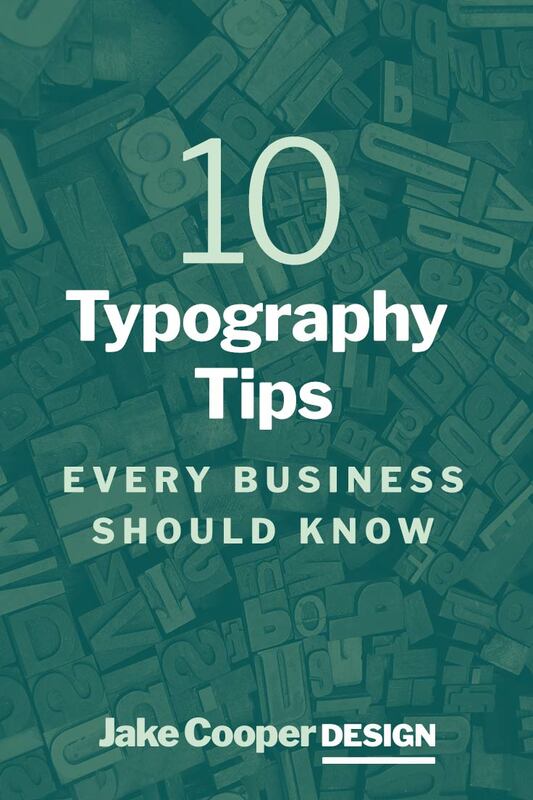 I hope by using some of these tips you can start to think about the typography that surrounds you and your business.